The Homebrew Channel is where you will go to launch homebrew applications. BootMii is a piece of software that can backup and restore your Wii’s NAND storage, and if installed in boot2, provides brick protection. 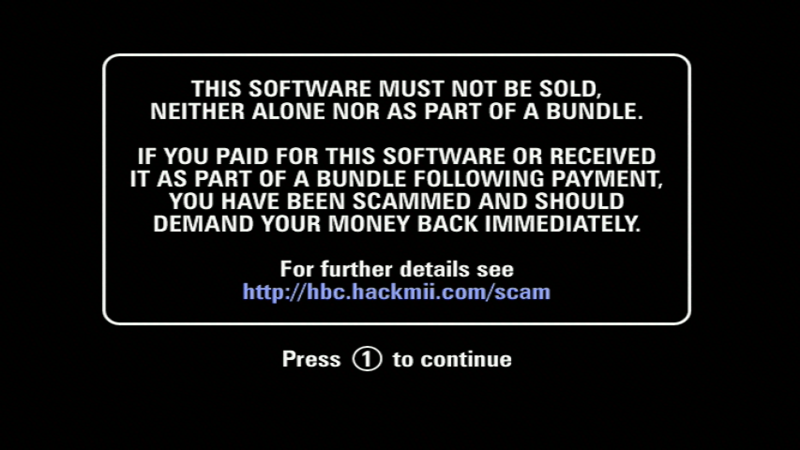 You will see a scam warning screen. Wait 30 seconds for the text “Press 1 to continue” to appear, then press 1. 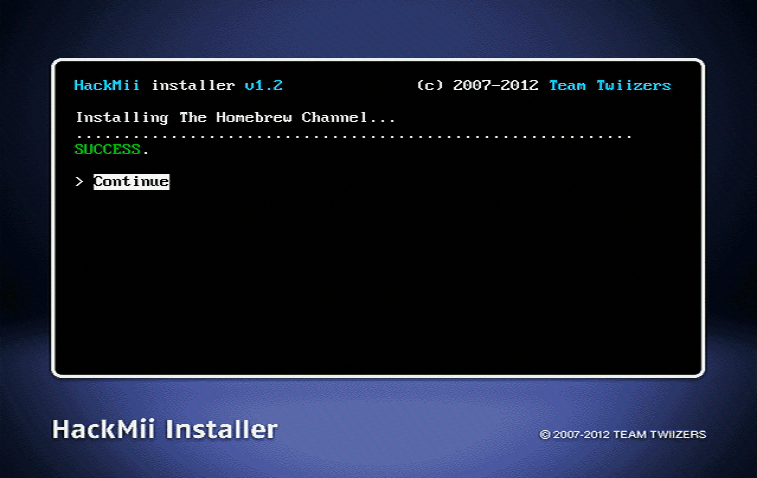 When at the HackMii installer, you are able to install the Homebrew Channel, and/or BootMii. 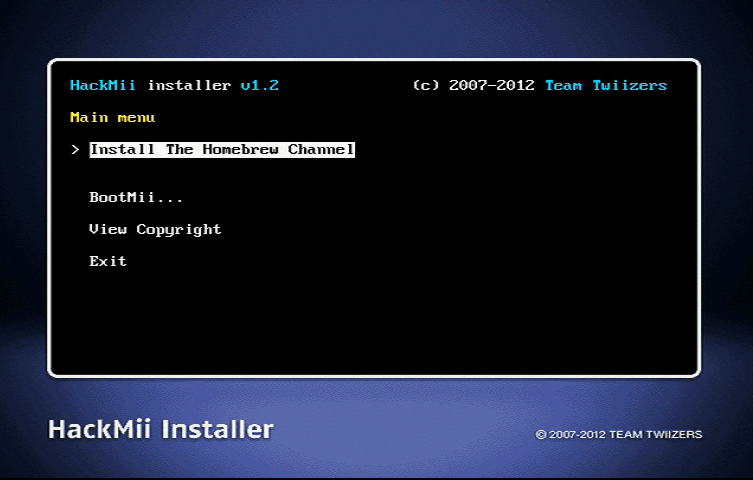 Press Continue, then select the Homebrew Channel, and press install. Once installed, press back and go to BootMii. If the main screen says you can install as boot2, do so. This gives you a level of brick protection that makes it almost impossible to get unrecoverably bricked. If it does not say you can install as boot2, install as IOS. While this doesn’t give you brick protection compared to its boot2 counterpart, it will still allow you to make a NAND backup.